For WITTMANN BATTENFELD France SAS, the French subsidiary of the WITTMANN Group, 2017 was the most successful year so far in its entire corporate history. The sales increased by 14% compared to the previous year, and the growth in order volume was even more dramatic. The increases occurred across all product segments, with substantial growth being realized especially in the sectors of granulators, robots and automation systems, with a corresponding increase in market shares in France. As an appropriate response to this positive trend, a piece of land situated in the immediate vicinity of the existing company site has been acquired in Moirans, which will now serve as the basis for an extension of the existing production floor space. Planning for the new facilities to be constructed there is in full swing. The planned new factory and office building will have more than 5,000 m² of usable floor space. The total amount of investment for this project will be more than 5 million Euros. Groundbreaking for the new French headquarters is expected to take place at the end of June this year. Completion of and relocation to the new building are planned for March 2019. The roots of WITTMANN BATTENFELD France SAS in Moirans date back to the year 2002, when the French company Albora was taken over to 100% by WITTMANN. Today, the French subsidiary holds an important strategic position within the Austrian WITTMANN Group. The subsidiary develops and manufactures standard and screenless granulators for worldwide sale. The French branch within the group of companies has also developed into a competence centre for the production of IML systems and special automation solutions for packaging systems – equipment which is sold by all subsidiaries of the group. 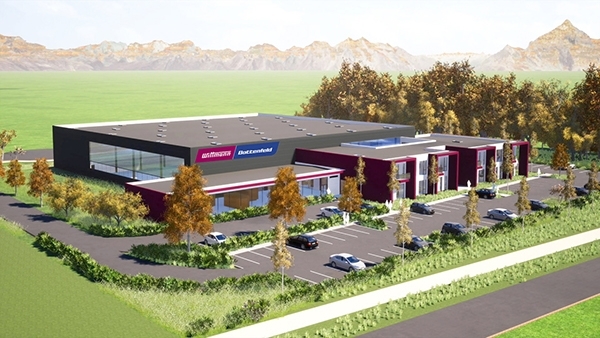 Following completion of the new office and production facility, the French subsidiary will be able to present to its customers the group’s range of injection moulding machines, robots and peripherals in a 400-m² showroom, combined with appropriate training facilities.